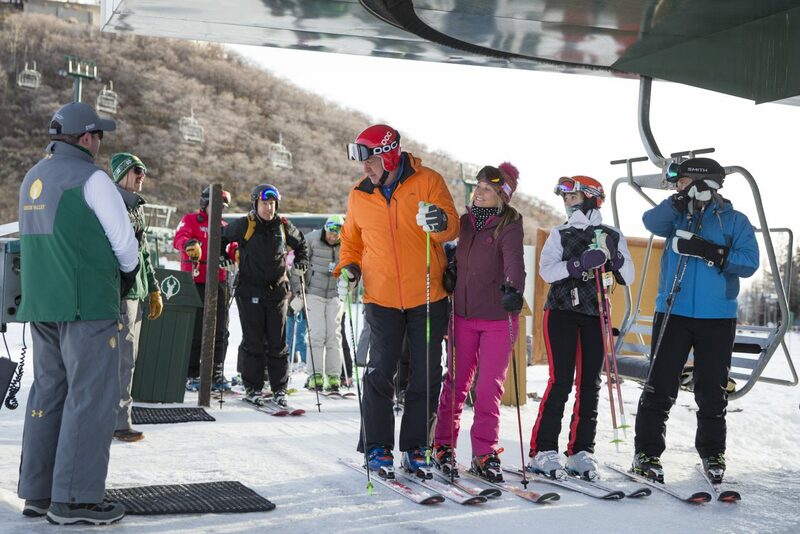 Visitors prepare to ride Deer Valley Resort’s first chair of the season on the Sterling Express on opening day last season. Deer Valley Resort is scheduled to open Saturday, with what is expected to be a significant portion of the mountain ready for skiing. According to Emily Summers, a Deer Valley Spokeswoman, the resort spent roughly $8 million in capital improvements to get ready for the season, with the bulk of that funding going to snowmaking infrastructure: four new snowcats, additional low-energy snow guns, five new fan guns, upgrades to the resort’s control system and several thousand feet of snowmaking pipes. 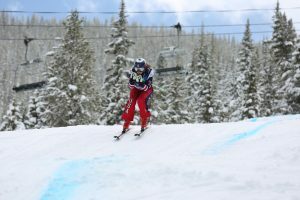 “A lot of those things we do every year, but especially snowmaking is important, and guests are going to see the fruit of that labor,” Summers said. She added that those investments, plus low temperatures and recent storms, have culminated in what is shaping up to be a solid opening day. Summers said changing conditions made it difficult to pin down a comprehensive list of lifts that would open on Saturday, but she said an estimated 10 lifts would start turning, including Carpenter Express, Silver Lake and Sterling Express. “Definitely lifts out of our Snow Park and Silver Lake areas,” she said. The first chairs on those lifts will leave their stations at 9 a.m.
People who want to ski opening day but also want to take their time getting to the mountain are advised to park at the Snow Park Lodge parking lot, as construction at the Goldener Hirsch hotel has reduced parking capacity in the Silver Lake area. Aside from snowmaking, skiers will notice the resort’s other main investment as they make their way back down to Snow Park. The Homestake lift, an older fixed-grip quad, has been replaced with a new high-speed detachable quad, which Summers said will decrease travel times for those exiting the mountain. The older fixed-grip quad was sent over to the Utah Olympic Park for the park’s planned expansion next season. Come opening day, Deer Valley will list which lifts are open at deervalley.com. This is Deer Valley’s first season in which skiers can gain access through Alterra Mountaon Company’s Ikon Pass, which allows seven days on the mountain per season, or five through the Ikon Base. Summers had one note for Ikon holders who are planning to come over on busy days, like holidays. Summers said she and the resort expect to see a lot of new faces coming from around the country and overseas due to the pass, and encouraged those visitors to make reservations at ikonres.deervalley.com to ensure they have a place on the mountain.